Olivia Munn took part in an HBO Connect Q and A last Friday. Aaron Sorkin will answer your questions about Sunday's episode on Monday. Dev Patel is also taking part in a Connect Q and A next week. Submit your questions for August 8 now. 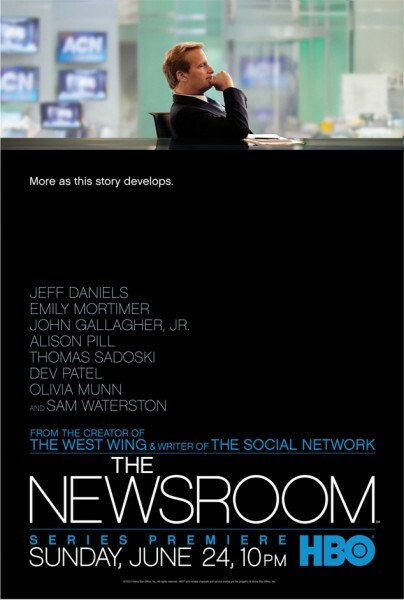 The Huffington Post brought readers a wrap up of Newsroom info from HBO's TCA (Television Critics Association) presentation, clearing up a few things, like that the writing staff was not fired, and letting us know that the second season will premiere in June 2013. The powerful Now. Here. This. concluded its extended off-Broadway run this spring but it can live on forever - with your help. 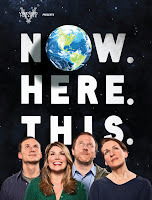 The Now. Here. This. 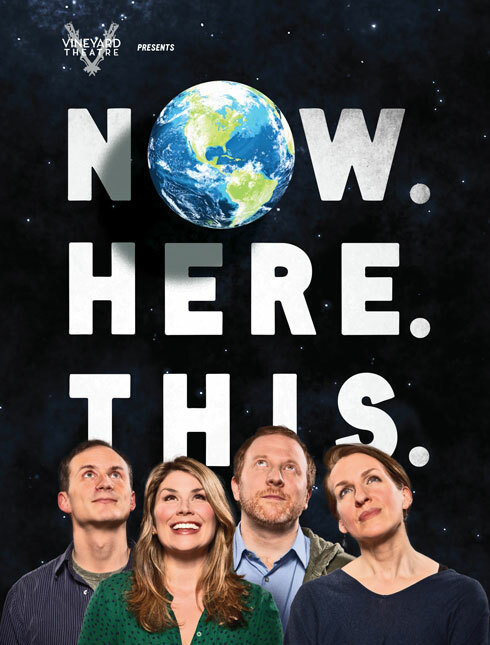 team is embarking on a Kickstarter campaign to fund an original cast recording. Watch a message from the team below and then head over to the Kickstarter page to help preserve musical theatre history. The exceptional Nina Arianda, who won a Tony for her revelatory performance in Venus in Fur, has been cast in Fellini Black and White, a new Henry Bromell film about the famed filmmaker. According to the announcement on Playbill, the film begins production in early 2013 and Arianda will play Fellini's wife, actress Giulietta Masina. Arianda will be joined on screen by William H. Macy, Peter Dinklage and Brazilian actor Wagner Moura, who'll be bringing Fellini himself to life. Emma Stone is keeping busy. After starring in about 17 movies last year (including Crazy Stupid Love) and co-headlining this year's blockbuster The Amazing Spider-Man, Stone has lined up her next gig: a romantic drama from Cameron Crowe, the journalist-turned-filmmaker behind one of my favorite movies, Almost Famous. As The Hollywood Reporter reports, Stone is currently sans a leading man. She's been great on screen with Ryan Gosling and Andrew Garfield. Do you think she should re-team with one of them or play opposite someone "new"? Maybe Joseph Gordon-Levitt? Armie Hammer? Who's your choice for Emma Stone's next leading man? Foo Fighters lead guitarist Chris Shiflett and bass player Nate Mendel have created their own Fender guitars. As stated on the band's Facebook page, "Nate and Chris are psyched to announce their Fender signature models will be available this fall. !!!. Here’s a sneak peek at the prototypes. 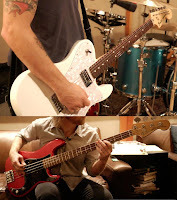 To receive updates, specs and like cool videos and stuff – sign up for more info on Nate’s bass here natemendelsignature@gmail.com and Chris’ guitar here chrisshiflettsignature@gmail.com. Simply send in your full name and email address and we will keep you posted!" 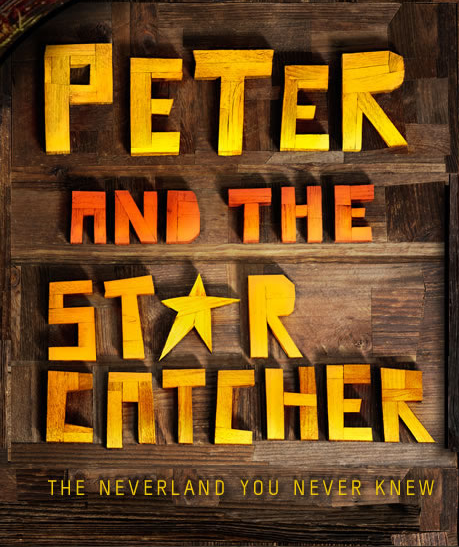 The incredible and magical Peter and the Starcatcher is continuing its successful Broadway run. 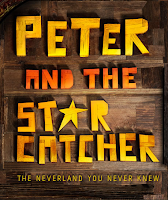 The company has just released a block of tickets through January 2013! So, go ahead and get yourself some starstuff - it makes you what you want to be! Visit the show's website to purchase tickets. In related news, Broadway.com has launched a new photo series, Broadway Besties. It captures Broadway folks who are best friends, and the inaugural installment features Jenn Damiano and Starcatcher's Adam Chanler-Berat, who met and were paired together throughout several iterations of Next to Normal. I happened to head over to the City Ballet website and noticed they have a brand new online home! The new site, still at nycballet.com, has a beautiful, dynamic homepage, with tons of media (including videos!) to get you excited and keep you up to date about the company. I encourage you to have a look. And while you're there, you'll notice that single tickets for the 2012-2013 season will go on sale this Monday, August 6. It is sure to be a great season, with a world premiere Christopher Wheeldon, plenty of favorites (like After the Rain, NY Export: Opus Jazz; Stravinsky Violin Concerto; and, all on one program, Interplay, Fancy Free and I'm Old Fashioned) and two new pieces from company member Justin Peck. 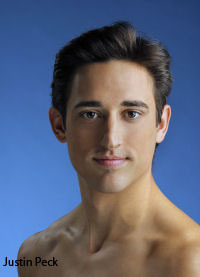 Speaking of Peck, the New York City Ballet dancer was profiled in the New York Times. (Check out pictures of In Creases, which premiered at SPAC, on the Company's Facebook page.) Can't wait to be there at City Ballet for the premiere night of his collaboration with Sufjan Stevens! Another Les Miz production still has been released, and this one is of Aaron Tveit (Catch Me if You Can) and Eddie Redmayne (Red). Emmy update: Glee creator Ryan Murphy will receive a special Emmy award. The Founders Award recognizes an individual who crosses cultural boundaries to touch our common humanity. Broadway.com has details. 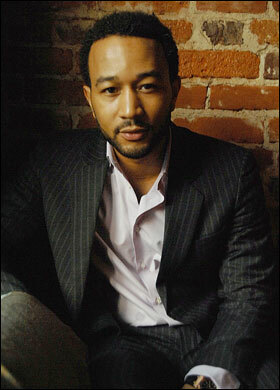 John Legend has inked a development deal with NBC's Universal Cable Productions. The Hollywood Reporter has details. This week, we mourned the loss of accomplished playwright, author and satirist Gore Vidal. Vidal passed away on July 31 at the age of 86. He is currently represented on Broadway by The Best Man, a witty and insightful look at backroom politics. 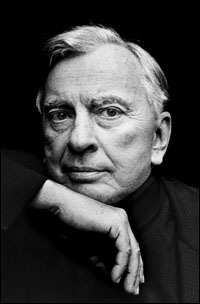 Gore Vidal will be missed.